Home > Blog > Social Media > Weekly Infographic: A Guide to Creating Compelling and Engaging Social Media Posts! 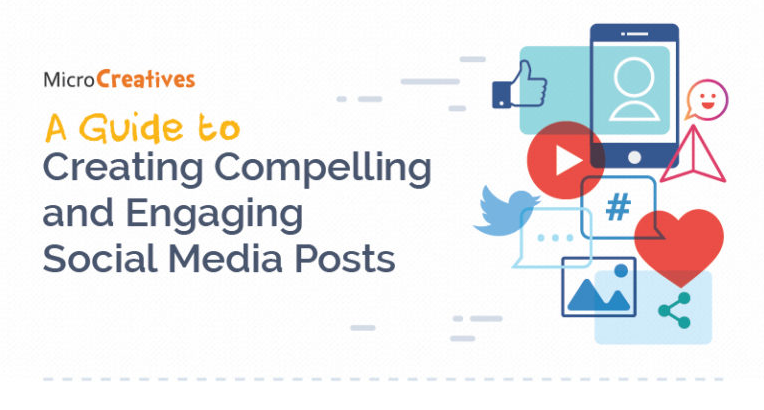 Weekly Infographic: A Guide to Creating Compelling and Engaging Social Media Posts! When you are a business owner, make social media posts is not a cakewalk. You need to convey your message to your target audience in a professional but friendly tone. While making posts on Facebook, make sure that you post when your audience is online. Use imagery which can be used in mobile phones also. Create polls in order to involve your target audience. While posting on Twitter, keep the length of your posts to 260 characters. Post about one topic at a time, and opt for live updates of breaking news. This infographic by MicroCreatives gives a clear idea of how to write compelling social media posts.